El busardo mixto (Parabuteo unicinctus), también conocido como busardo de Harris, peuco, halcón o aguililla de Harris, gavilán mixto, gavilán acanelado o gavilán rabiblanco, es una especie de ave accipitriforme de la familia Accipitridae. Es un ave mediana que habita desde el suroeste de EE. UU., todo el Perú, Bolivia, Uruguay y hasta el sur de Chile y Argentina. Es el único miembro del género Parabuteo, que literalmente significa ‘similar a Buteo’, mientras que unicinctus significa ‘una sola cinta’, por la banda terminal blanca de su cola. El adulto tiene un plumaje pardo oscuro a excepción de los hombros, tapadas alares y piernas rufo-rojizo. El final de la cola es blanco. Tiene una longitud de 60 cm y una envergadura alar de 1.2 m; el peso promedio es de 900 g. Las hembras son 10 % más grandes que los machos. Tiene garras fuertes y afiladas. Pico corto y curvo, además de rosa, y en la base una cubierta de cera, coloreada conspicuamente. Alas anchas y redondeadas y al volar planean mucho. En Ecuador se lo conoce como gavilán alicastaño, en México como halcón o aguililla de Harris, en Chile como peuco y en Perú como gavilán acanelado. Es una rapaz sociable, viviendo en un grupo familiar similar a las manadas de lobos, llegando incluso a cazar en grupo, su condición de sociable se evidencia en la cría de los polluelos, que es compartida por todos los miembros del grupo. Exhiben una gran variedad de fases de coloración y las aves inmaduras son bastante diferentes a las adultas. En el metro de la Ciudad de México se utilizan aguilillas de Harris entrenadas para ahuyentar palomas cuyo excremento corroe instalaciones eléctricas. De igual manera se emplean éstas aves en el Aeropuerto Internacional de la Ciudad de México y en el de Uruguay. Parabuteo unicinctus harrisi – Del sudoeste de los Estados Unidos a la vertiente pacífica de Colombia, Ecuador y Perú. Parabuteo unicinctus unicinctus – Del sur de Perú, norte de Argentina y gran parte del territorio de Chile. The Harris’s hawk is notable for its behavior of hunting cooperatively in packs consisting of tolerant groups, while other raptors often hunt alone. Harris hawks’ social nature has been attributed to their intelligence, which makes them easy to train and have made them a popular bird for use in falconry. This medium-large hawk is roughly intermediate in size between a peregrine falcon (Falco peregrinus) and a red-tailed hawk (Buteo jamaicensis). Harris’s hawks range in length from 46 to 59 cm (18 to 23 in) and generally have a wingspan of about 103 to 120 cm (41 to 47 in) They exhibit sexual dimorphism with the females being larger by about 35%. In the United States, the average weight for adult males is about 701 g (1.545 lb), with a range of 546 to 850 g (1.204 to 1.874 lb), while the adult female average is 1,029 g (2.269 lb), with a range of 766 to 1,633 g (1.689 to 3.600 lb). They have dark brown plumage with chestnut shoulders, wing linings, and thighs, white on the base and tip of the tail, long, yellow legs and a yellow cere. The vocalizations of the Harris’s hawk are very harsh sounds. The juvenile Harris’s hawk is mostly streaked with buff, and appears much lighter than the dark adults. When in flight, the undersides of the juveniles’ wings are buff-colored with brown streaking. They can look unlike adults at first glance, but the identical chestnut plumage is an aid for identification. P. u. superior: found in Baja California, Arizona, Sonora, and Sinaloa. P. u. superior was believed to have longer tails and wings and to be more blackish than P. u. harrisi. However, the sample size of the original study was quite small, with only five males and six females. Later research has concluded that there is not as strong a physical difference as was originally assumed. Other ecological differences, such as latitudinal cline were also brought up as arguments against the validity of the subspecies segmentation. P. u. harrisi: found in Texas, eastern Mexico, and much of Central America. P. u. unicinctus: found exclusively in South America. It is smaller than the North American subspecies. Harris’s hawks live in sparse woodland and semi-desert, as well as marshes (with some trees) in some parts of their range (Howell and Webb 1995), including mangrove swamps, as in parts of their South American range. Harris’s hawks are permanent residents and do not migrate. Important perches and nest supports are provided by scattered larger trees or other features (e.g., power poles, woodland edges, standing dead trees, live trees, and boulders, and saguaros). The wild Harris’s hawk population is declining due to habitat loss; however, under some circumstances, they have been known to move into developed areas. This species occurs in relatively stable groups. A dominance hierarchy occurs in Harris’s hawks, wherein the mature female is at the dominant bird, followed by the adult male and then the young of previous years. Groups typically include from 2 to 7 birds. Not only do birds cooperate in hunting, they also assist in the nesting process. No other bird of prey is known to hunt in groups as routinely as this species. The diet of the Harris’s hawk consists of small creatures including birds, lizards, mammals, and large insects. Because it often hunts in groups, the Harris’s hawk can also take down larger prey. Although not particularly common, the Harris’s hawk may take prey weighing over 2 kg (4.4 lb), such as adult jackrabbits, great blue heron (Ardea herodias) and half-grown wild turkeys (Meleagris gallapavo). The desert cottontail (Syvilagus auduboni), the leading prey species in the north of the Harris’s hawk range, usually weighs 800 g (1.8 lb) or less. Undoubtedly because it pursues large prey often, this hawk has larger and stronger feet, with long talons, and a larger, more prominent hooked beak than most other raptors around its size. Locally, other buteonine hawks, including the ferruginous hawk, the red-tailed hawk and the white-tailed hawk also hunt primarily cottontails and jackrabbits, but each are bigger, weighing about 500 g (18 oz), 300 g (11 oz) and 200 g (7.1 oz), respectively, more on average than a Harris’s hawk. In the Southwestern United States, the most common prey species (in descending order of prevalence) are desert cottontail (Syvilagus auduboni), eastern cottontail (Syvilagus floridanus), black-tailed jackrabbit (Lepus californicus), ground squirrels (Ammopsermophilus spp. and Spermophilus spp. ), woodrats (Neotoma spp. ), kangaroo rats (Dipodomysspp. ), pocket gophers (Geomys and Thomomys spp. ), Gambel’s quail (Callipepla gambelii), scaled quail (C. squamata), northern bobwhite (Colinus virginianus), cactus wren (Campylorhynchus brunneicapillus), northern mockingbird (Mimus polyglottos), desert spiny lizards (Sceloporus magister), and skinks (Eumeces spp.) In the tropics, Harris’s hawks have adapted to taking prey of several varieties, including those like chickens and European rabbits introduced by man. In Chile, the common degu (Octodon degus) makes up 67.5% of the prey. While most raptors are solitary, only coming together for breeding and migration, Harris’s hawks will hunt in cooperative groups of two to six. This is believed to be an adaptation to the lack of prey in the desert climate in which they live. In one hunting technique, a small group flies ahead and scouts, then another group member flies ahead and scouts, and this continues until prey is bagged and shared. In another, all the hawks spread around the prey and one bird flushes it out. Groups of Harris’s hawks tend to be more successful at capturing prey than lone hawks, with groups of two to four individuals having ~10% higher succes rates per extra individual. They nest in small trees, shrubby growth, or cacti. The nests are often compact, made of sticks, plant roots, and stems, and are often lined with leaves, moss, bark and plant roots. They are built mainly by the female. There are usually two to four white to blueish white eggs sometimes with a speckling of pale brown or gray. The nestlings start out light buff, but in five to six days turn a rich brown. Very often, there will be three hawks attending one nest: two males and one female. Whether or not this is polyandry is debated, as it may be confused with backstanding (one bird standing on another’s back). The female does most of the incubation. The eggs hatch in 31 to 36 days. The young begin to explore outside the nest at 38 days, and fledge, or start to fly, at 45 to 50 days. The female sometimes breeds two or three times in a year. Young may stay with their parents for up to three years, helping to raise later broods. Nests are known to be predated by coyotes (Canis latrans), golden eagles (Aquila chrysaetos), red-tailed hawks (Buteo jamaicensis), great horned owls (Bubo virginianus) and flocks of common ravens (Corvus corax), predators possibly too formidable to be fully displaced by the Harris’s hawk’s cooperative nest defenses. 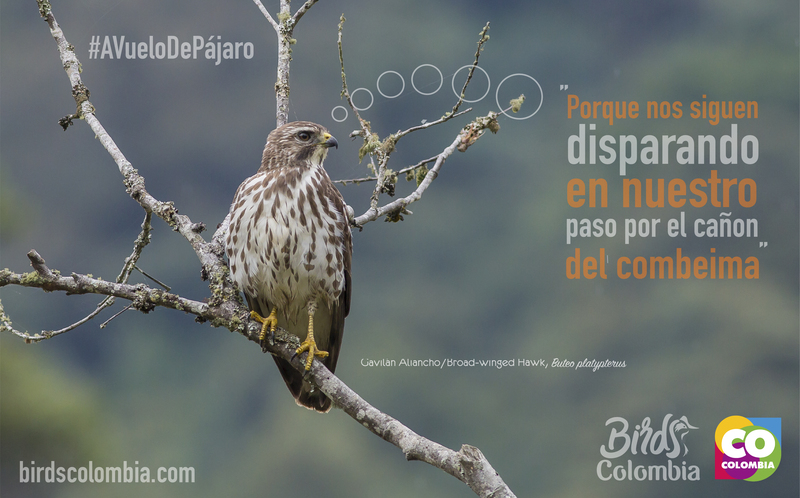 In Chile, black-chested buzzard-eagles (Geranoaetus melanoleucus) are likely predators. Since about 1980, Harris’s hawks have been increasingly used in falconry and are now the most popular hawks in the West (outside of Asia) for that purpose, as they are one of the easiest to train and the most social. Their desire and ability to work closely with their falconer allows them to take a larger and more varied score of game than any other falcon or hawk species. They are effective on both bird and mammalian prey, and are willing to tackle game larger than themselves. Though not quite as athletic as either falcons or accipiters, the close and cunning ways they learn to work as part of a falconry team more than makes up for their somewhat lesser speed and endurance. However, their cooperativeness as falconry birds may lead to overconfidence in the novice falconer, and the mistaken belief that corners can be cut in training the hawk, leading to some poorly trained birds simply flying away and never coming back. Growing colonies of feral Harris’s hawks have been reported in locations outside of the bird’s natural range as a result. Trained Harris’s hawks have been used to remove an unwanted pigeon population from London’s Trafalgar Square. and from the tennis courts at Wimbledon. John James Audubon illustrated the Harris’s hawk in The Birds of America (published, London 1827–38) as Plate 392 with the title “Louisiana Hawk –Buteo harrisi“. The image was engraved and colored by the Robert Havell, London workshops in 1837. The original watercolor by Audubon was purchased by the New York History Society where it remains to this day (January 2009). En Cajamarca, Perú, hacia los andes del norte siempre se lo observa volando; nunca lo vi asentado en tierra.